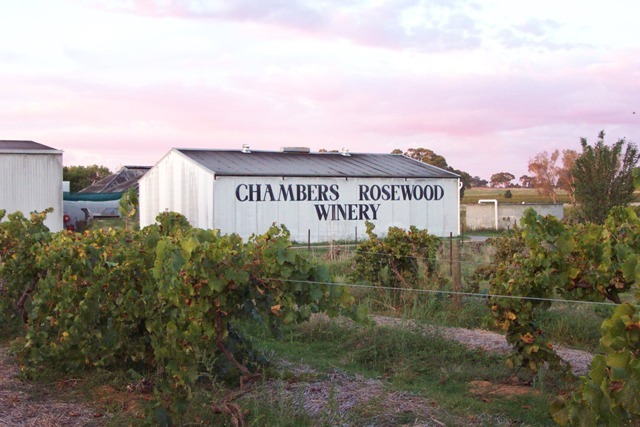 Since establishment in 1858 in Victoria's famed Rutherglen region, winemaking duties at Chambers Rosewood have been handed down through six generations. Relinquished in 2001 by Bill Chambers, one of Australia's most respected wine personalities, the aging and blending practices that shape these inimitable fortified wines are now entrusted with son Stephen. Recognized the world over for their complexity, intensity and balance, Chambers' Rare Muscats and Muscadelles are a national treasure; wines expertly blended from unctuous material that has matured quietly in the family cellars for more than ninety years. "This 120-acre estate, now helmed by Stephen Chambers, is one of the most consistent producers of top-class fortified sweet wines in the world." 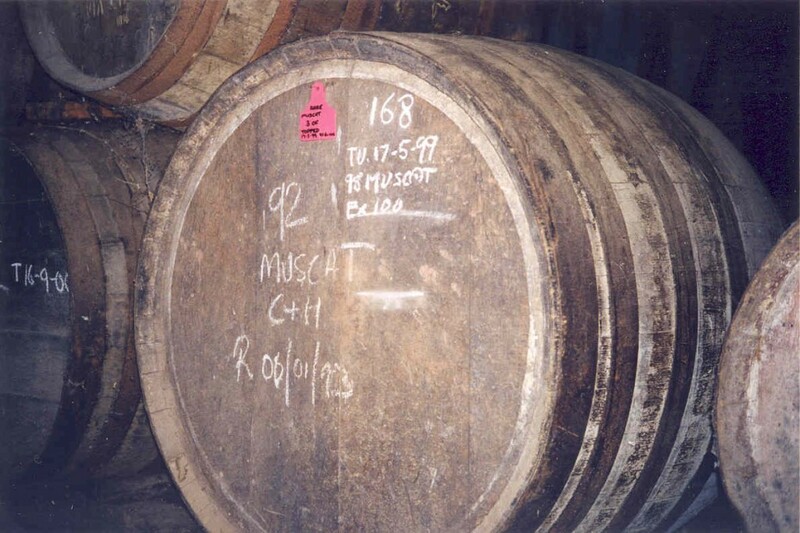 For over a century the Chambers family have harvested and partially fermented shriveled, high-sugar Muscat and Muscadelle grapes, before fortifying with neutral spirit and wood-aging in a semi solera system. The real skill, however, lies in the blending these components to achieve a consistent house style. Each year the winemaker draws on hundreds of parcels classified by vineyard, vintage and quality, aged from one to one hundred years. 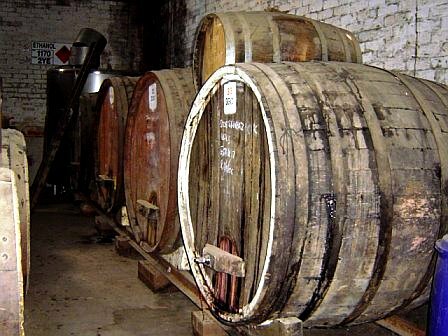 In addition, maintenance of the “old material” in the large, old oak barrels is essential to ensure succession and add complexity and depth to the current releases. The wines that result are as awe-inspiring as the process that cast them: intensely flavored, explosively rich and sweet, yet wonderfully balanced and offering remarkable persistence. In the warm fall climate the grapes ripen and shrivel on the vines producing natural sugar levels in the range of 30-36 degrees Brix. The raisined grapes are then picked, crushed and partially fermented before being fortified and then subjected to a wood aging program loosely resembling a solera system that lasts (in same cases) for over 100 years. The “Grand” designation relates to quality and age. These wines are blended from material, which dates back to the First World War. With age the wines develop intensity of color and flavor and a delightful green hue around the rim of the glass. At this level the wines show a wonderful combination of aged characters and fresh raisined fruit. The “Rare” designation is used for material dating back over 100 years. As this is not a scientific process it is not possible to put a definitive age on the wine but one taste will tell you it is not from this century. 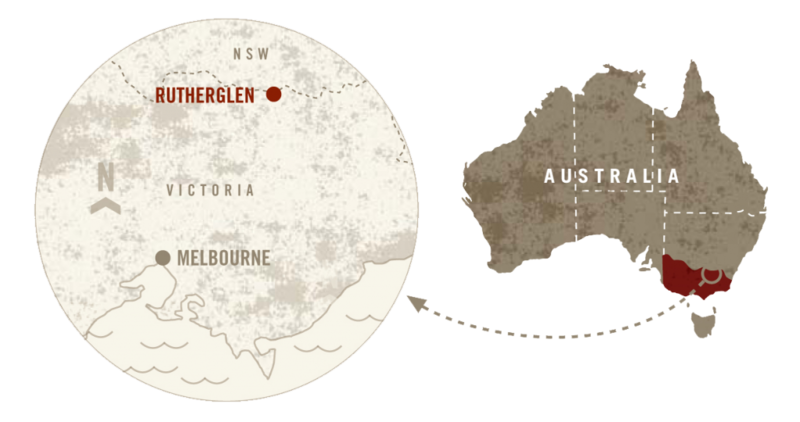 The result of an extreme climate, a mysterious varietal heritage and century-old blending skills, these fortified wines are unique to the Rutherglen region of Australia. 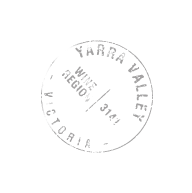 To the first pioneers arriving in the early 1800s it was apparent the region’s sweltering summer days counterbalanced by cold nights were ideal for viticulture. Situated on the flood plain of the Murray River, Australia’s largest river system, the area’s deep, alluvial soils also proved valuable for their nutrient content and moisture retention. 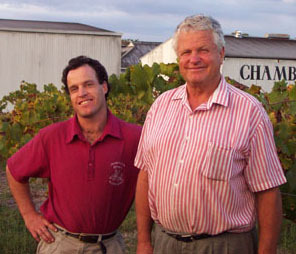 The Chambers family made a fist of it in those early days, and today their original Muscat and Muscadelle vines thrive as they did a century ago on a single-wire trellising system supporting a sprawling canopy. This fruit ripens fully under the summer sun, then shrivels as the warm weather persists through fall. With the approach of harvest in late fall, the grapes attain the high sugar-levels necessary for the production of sweet, intensely flavored fortified wines.